The concept of “content marketing AI” can feel unsettling. Upon hearing it mentioned, I can’t help but envision robots tapping away at keyboards, producing lifeless copy dictated by rules and algorithms. How could this automated approach generate emotion? Empathy? Relatability? Luckily, the application of artificial intelligence in content marketing isn’t really aimed at replacing human writers. Very well said, and hopefully reaffirming for any marketer feeling apprehension over the emergence of new tools and tech. Like so many other marketing technologies, the integration of AI in content strategies can make us more efficient, sophisticated, and (non-artificially) intelligent. Ismail notes a few unmistakable benefits in his article: vivid context, hyper-personalization, broader IoT experiences, simplified SEO, and more. Fear not! Catch up on the latest happenings in the world of marketing technology, plus much more, in this week’s roundup of top trending content for digital marketers. “A smart customer is a voracious information-seeker,” notes Sonali Datta, and by that definition, there are more smart customers out there than ever before. Predictive content marketing can help us anticipate their needs and how they might seek out info on the journey to purchase. 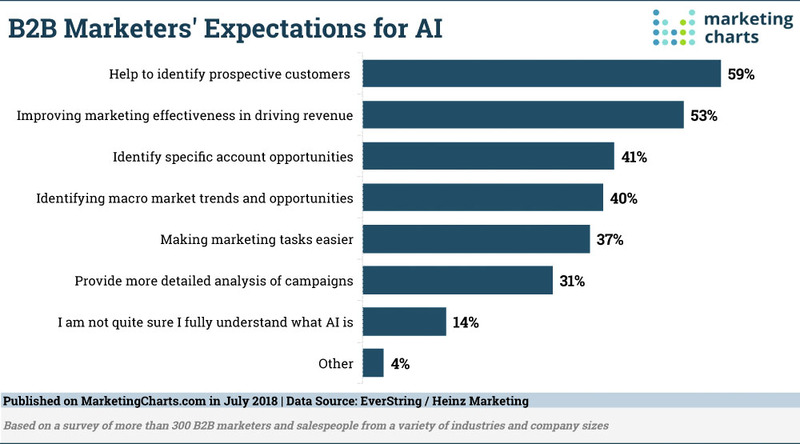 What do marketers really want from AI? Carolanne Mangles of Smart Insights breaks down new data and charts to find clarity on the matter. Not everyone’s totally sold on marketing AI — at least the widely misunderstood buzzword itself. 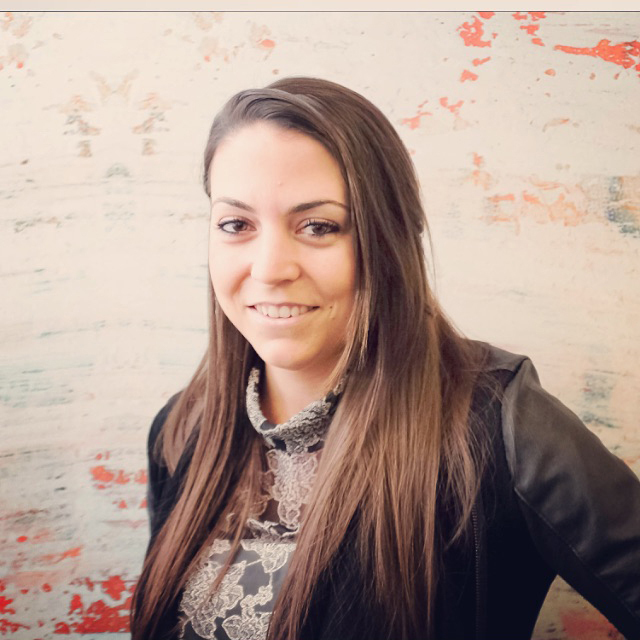 At Marketo, Nina Brakel-Schutt urges us to take a more skeptical view of this frontier and its enticing allure. Robots and algorithms aside, content marketers are people creating for other people. With this in mind, you may find it helpful to brush up on these psychological principles, via Louisa McGrath. When it comes to interpersonal communication, writers can gather a number of great cues from studying quality conversations. Among the tips shared by Nick Usborne here: show empathy, avoid being adversarial, and express gratitude for what the conversation brings you. 6. You Need 23 Keywords in a Blog Post to Rank Well. Not. “There is no clear correlation between keyword density and how much organic traffic is generated by a post or page.” Jessica Foster sets the record straight on this and several other SEO misconceptions over at Search Engine Land. Content writers hit the sweet spot when they produce work that is both search-friendly and (more importantly) engaging and interesting for their audience. Ron Lieback offers guidance for finding this intersection. The platforms may be constantly changing and evolving, but certain social media practices — like authentic conversations and providing incentive to share content — will never go out of style. You can listen to the discussion between Hailley Griffis and Brian Peters or read through the transcript on the Buffer Social Blog. Research firm Clutch recently ran a survey and found that, unsurprisingly, search engines and social media are the top two ways in which B2B audiences discover business-related content. Find more insights in this post from Grayson Kemper. Stay on top of the rapidly changing world of marketing technology and trends by subscribing to the LinkedIn Marketing blog.